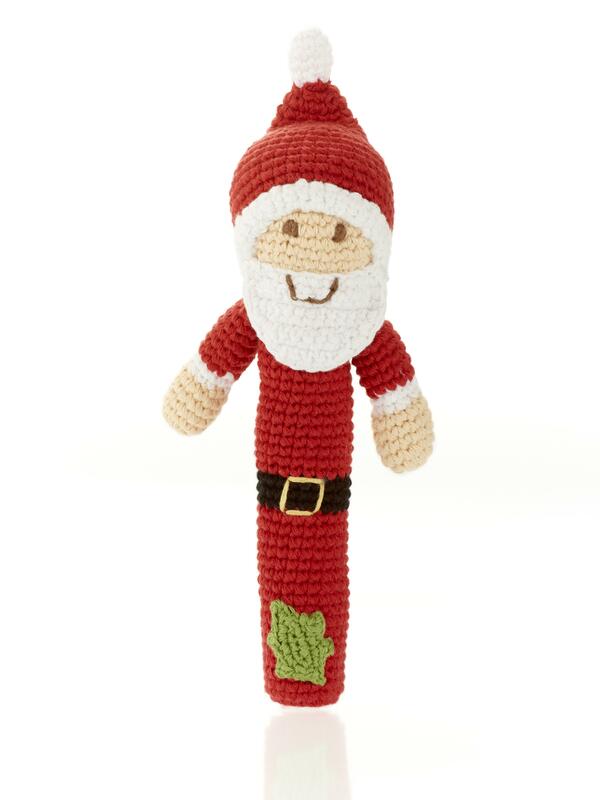 Our Santa Christmas stick rattle from Pebble toys is a fabulous addition to our baby rattle range. This baby toy would make an ideal gift to mark baby's first Christmas. With its gentle rattle sound and the stick that is the ideal size for your baby to grasp onto, this is an ideal baby toy. Handmade, machine washable, suitable from birth, fair trade.